Is my Graphics Card breaking down? I am running the prime 95 torture test on the one that mentions the most use of ram. been running about 12 hours now. I have included a screenshot so you can see what is happening. I will continue to run it until I achieve failure (I presume). or maybe what you see tells you enough, I will await your advice. How long did you run it for in total, did it crash at all. 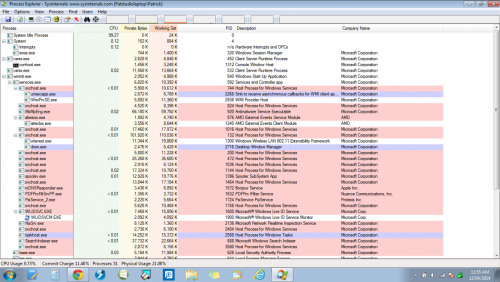 To check what is using your CPU run Process Explorer, there is no need to install it just choose the Run option which can be found in the upper right corner here let us know what you find. Total time ran for the Prime95 was 19 hours, no crash. 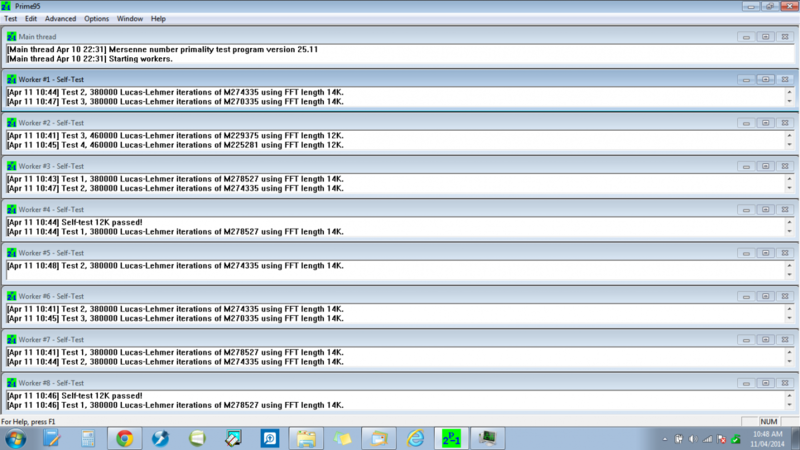 I have included a screenshot of the top processes showing on one screen without scrollling down. Can you also provide the bottom part of the results for us. 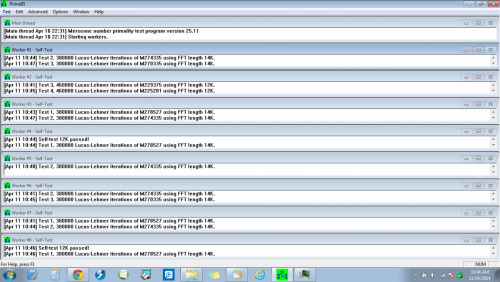 I have attached screenshot from larger monitor so it contains all the processes running this morning. Something else that might give a hint, and makes me feel like I have been wasting your time. Last night I was leading a meeting and ran two videos. The first one was a 5 minute video streamed from youtube. Sound was normal but about 4 times in the 5 minutes the video froze for about 3 seconds then picked up with the sound, as it has always been doing as per my original concern. The second video had been downloaded to my computer and was running off my hard drive. it was 1 hour long and worked like a dream with no video freeze at all. I should have checked this first. Could the issue be with my wireless card? Maybe I shouldn't even suggest that just tell you the facts and let the expert go where he thinks they lead. Anyway that is the latest scoop. thanks, Especially if I led you down a rabbit trail to begin with. 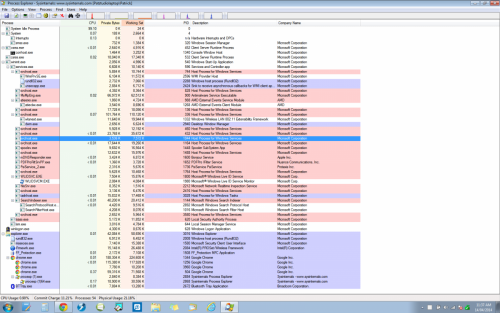 I don`t see anything untoward in Process Explorer btw. Make sure that you have the latest version of Java, details here only enable Java when you are watching a video that requires it and disable it when finished with it. 2.In the search results that come up, right click “cmd” and run as administrator, when the screen flashes and asks for permission, accept it. 3.In the command prompt type in ipconfig /flushdns (or right click and paste it to the command prompt) then press Enter. You should then see a dialog box saying successfully flushed resolver cache, if so you are done post back with an update.